Good luck gifts can come in all shapes and sizes, because unless they are a rabbit’s foot, an evil eye or a four leaf clover you as the giver really impart the feelings of good luck by way of the spirit in which it was given. 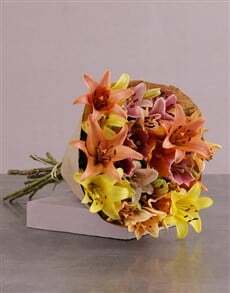 NetFlorist has great good luck gifts on the site. For example, if you know someone who is going to spend some time in hospital you, can simply send them a personalised dressing gown. Not only will the gift give them warm fuzzies, but a touch of home comforts will help make them feel better. Of course if your friend is about to write an exam and needs comfort food or just a little bit of sugar for the shock of running out of time while studying or just needs something to look forward to at the end of the hellish paper you could send them a delicious chocolaty treat or a box of cupcakes. But if you are certain they’ll need to drown sorrows while eating a chocolate, simply send them a hamper with the best of both worlds in it, wine and chocolate. Those good luck wishes will beat back any bad luck or negative thoughts. 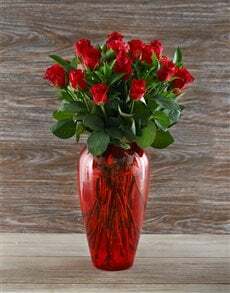 All you need to do is stick with NetFlorist when you want to send a good luck gift or good luck flowers. 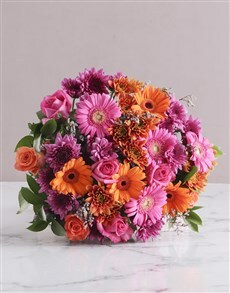 While we are able to offer same day delivery on our floral products, unfortunately our gifts are only available for next day delivery on good luck gift ideas, and as long as you place your order early enough for our gifting gurus, flour fairies and floral folk to make the gift extra special and perfect! 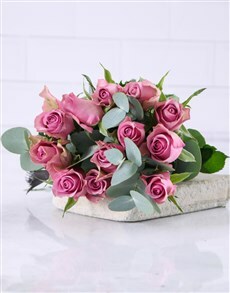 Visit NetFlorist and buy your friends and family good luck gifts online in South Africa and have their good luck gifts delivered directly to their door.